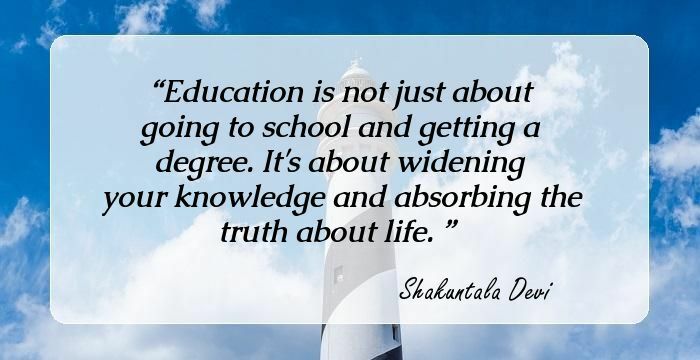 12 Inspirational Quotes By Shakuntala Devi, The Human Computer, Which Will Fill You With A Love For Mathematics. You may know her as the 'Human Computer', the mathematical genius who beat the computers in solving complex mathematical problems. She is none other than India's own Shakuntala Devi. Her father realized that their daughter was blessed with exceptional talent when she was three years old. She would defeat people much elder to her in card games not by sleight of hand as many would expect but rather by memorizing the cards. She demonstrated her calculating prowess at the University of Mysore when she was only six. Shakuntala who had gained considerable fame in India travelled to London with her father where she was invited on the BBC show. The host posed a complex calculation before her and she answered it within seconds. The answers did not match though. Later upon recalculation it was found that Shakuntala's answer was correct and thus she gained instant popularity. She defeated the computer in calculating the 23rd root of a 201-digit number. She created a Guinness Book of Records by giving the correct answer for multiplication product of 7,686,369, 774,870 and 2,465,099,745,779 in only 28 seconds. Shankutala Devi was married to a homosexual man apparently which led her to write the book, 'The World of Homosexuals', the first ever attempt by an Indian author to study homosexuality. 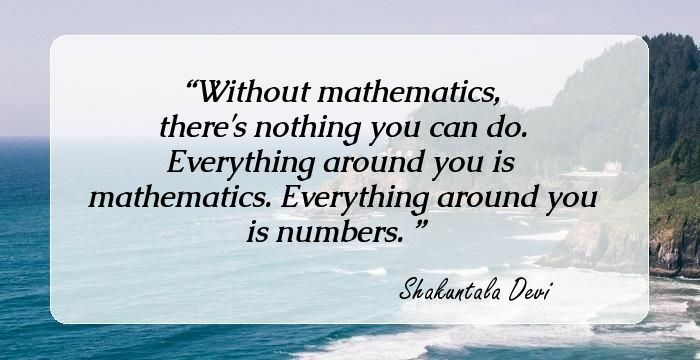 The following are a few inspirational quotes by the mathematical genius. 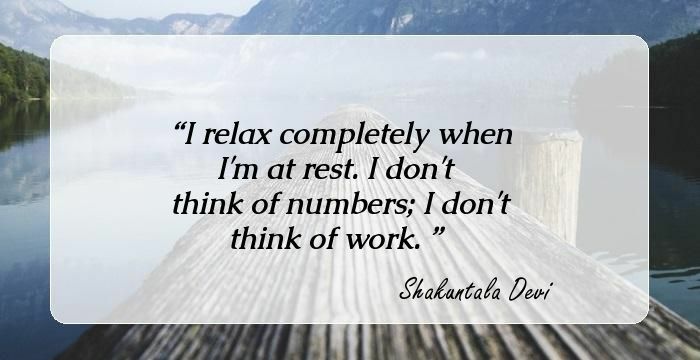 I relax completely when I'm at rest. I don't think of numbers; I don't think of work. I haven't had any formal education. Through the grace of god, I am gifted in mathematics and the English language.